Few cities in the world evoke as much awe and wonder as Rome. Once the capital of the vast Roman Empire, the city is a sprawling, incredible collection of historical ruins, noteworthy artwork, glorious churches, beautiful people and delicious food. Rome is a city which will catch you by surprise, no matter how much you thought you knew about it or were prepared for her beauty and history before you arrived. Of course, Rome is also so large, and full of so many attractions to see, that a visit to the city requires careful planning - and the knowledge that you will simply have to return in the future to see more of what you will have missed the first time. I have visited Rome several times over the past decade, so I've had the opportunity to sample a great deal of what the city has to offer. Read on to learn more about the unique sites, scenes, tastes and adventures to be found in Rome, Italy - a city like no other place on Earth. Whether you will be on a tour of Rome for one day or staying in Rome for a week or more, you'll find information and resources here to make the most of your visit. 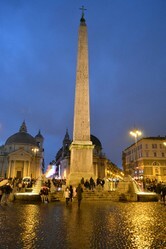 Image above: A piazza in Rome at night. All photos on this page are by the author, unless otherwise indicated or provided by Amazon. A view of the Roman Forum: One of the major attractions of the city. If you're flying in to Rome, you are most likely going to be flying through Leonardo da Vinci–Fiumicino Airport (FCO). This is an incredibly large airport, so be prepared for a lot of walking to get to and from your gate/terminal, pass through customs, retrieve or check in your luggage, etc. In fact, it is commonly ranked the busiest airport in Italy and one of the busiest in Europe as a whole, so plan accordingly—especially if you will be flying out of FCO on your way home or to your next destination. In particular, it is not overkill to plan to arrive for your flight a minimum of three hours before departure time, maybe even four hours. I have seen passport check lines take well over an hour alone to get through, and that's after getting through the ticketing/baggage check line, basic security, and simply figuring out where you need to go. Don't get caught unprepared or possibly missing your flight by not planning for enough travel time. FCO Airport can be a place of pure, barely organized chaos. Be patient, be prepared, and arrive very early for your flight. There are numerous options to then get between FCO airport and Rome proper, which is about 30 kilometers away. Expect to pay close to 50 Euros by taxi for the approximately 45 minute drive. Or you can use one of the public transportation options available—see this helpful Tripadvisor article for more information. If you are traveling to/from Rome via train, the main station, Roma Termini, is fairly centrally located to most areas of the city/hotels where you might be staying. 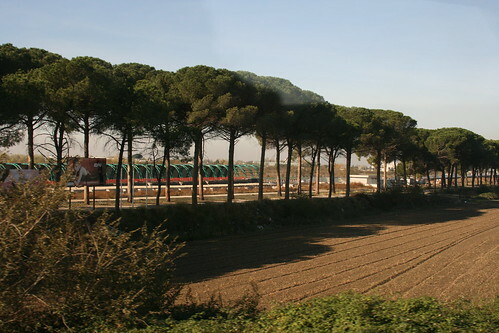 The train is an excellent way to explore Italy and Rome is a fast connection to many other major destinations in the country. Traffic - and navigation - in Rome can be intimidating! It is important to note that because of its size and popularity, Rome can be intimidating, frustrating and challenging to really appreciate for the unprepared tourist. You can end up wasting time in long lines or missing out completely if you don't make advance reservations for certain attractions. Churches and other unique places to visit may only be open at unusual hours or one day a week. There are also plenty of con artists in the city streets and near major attractions, and cab drivers in Rome may also take advantage of your unfamiliarity with the city to run up higher fares. To really enjoy Rome, you will need to make a definite itinerary before visiting the city and be ready to face certain challenges. I've written a separate article linked below, "10 Travel Tips for Enjoying a Roman Vacation", to provide more specific guidance along these lines. The Roman Colosseum is of course one of the major attractions of Rome, but it can be a long wait to visit unless you buy special tickets in advance. Rome is well-known for its many fountains. 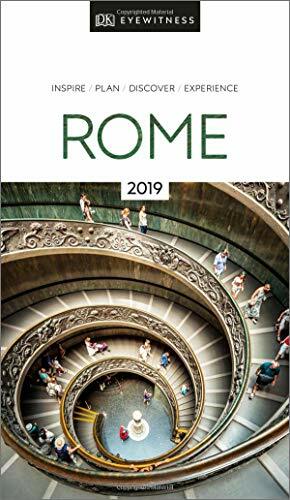 Although the internet is a great resource for learning out tourist destinations like Rome, there are still many reasons to purchase at least one or two travel books to take with you. Having a good pocket guide to museums, historical sites, and handy maps will make your life easier when you can't get internet service or don't want to pay high wifi fees! These are some of the best books on Rome to take with you on vacation. A good map is essential when walking through the streets of Rome. This laminated map will hold up to hundreds of foldings and openings, and fits nicely into a coat pocket or purse. The Pantheon is another important Rome attraction—once a temple and now a church. 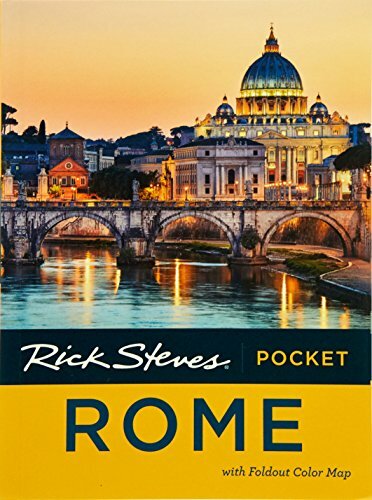 Easy to read and full of great practical information, you simply must get - and read - Rick Steves' Rome before you go to Italy. Learn how to maximize your time visiting the Vatican, Borgese Gallery, and other historical sites while discovering unique facts and helpful tips. A definite must-have. The smaller "Pocket Rome" is perfect for carrying with you when you travel, hitting the highlights of the city in a brief format. The DK Eyewitness guides are perfect for those who really want to dig in to the culture and history of a destination. You'll find lots of full color photographs, maps, and illustrations showing the layout of major attractions, along with interesting facts and historical references you might need. Their "Top 10" guides are great for travelers who may be short on time and don't want to miss any highlights of a city. Lists for Top 10 museums, attractions, dining destinations and more! The "Secret" book series provides information on fascinating and unique attractions that are easy for most tourists to miss. 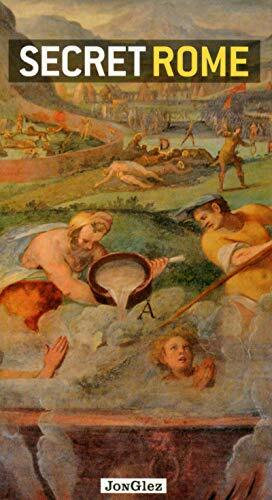 Find out about getting in to palaces otherwise closed to the public, discover hidden meanings and factoids behind specific frescoes and works of art, and just overall enrich your understanding and appreciation for the city of Rome. Because Rome is such a popular destination, it is easy to get suckered into eating less-than-stellar food in overpriced tourist traps throughout the city. But that would be a true shame as Rome has much to offer from a culinary perspective, if you know where to look for it. The city is well-known for its pasta, Jewish Italian cuisine, and creative uses of organ meats. For more information, check out my guides to Authentic Dishes to Enjoy in Rome and Dining Out in Italy. You might also want to check out my Rome restaurant reviews for details on some of my favorite restaurants in the city. Your stomach will thank you for it! Carciofi alla giudia - The classic Roman fried artichoke, Jewish-style. Rome is full of fantastic museums, palaces and historical collections of art, sculpture, and archaeological artifacts. These are some of the museums and galleries to put near the top of your itinerary list. Caravaggio is one of the artists whose work you will find in some of Rome's top museums and galleries. Line up early to get first entry into the Vatican Museums. Speed to the Sistine Chapel, but then take your time exploring the rest of their impressive collection of art and sculpture. Be sure to purchase tickets in advance to visit the Borghese Gallery, home to an incredible collection of art and sculpture including great works by Caravaggio, Titian and Bernini. The National Museum contains some of the most amazing archaeological artifacts and exhibits in the world. Marvel at ancient sculpture, jewelry, mosaic artwork and coin collections. Rome is also home to an impressive modern art museum. Visit and see important works by artists including De Chirico, Guttuso, Kandisky and Czanne. Sculpture on display in the Capitoline Museums. Rome is an amazing city for experiencing truly incredible sculptural art. Even if you have never really appreciated sculpture as an art form, you will be amazed by the work you see on display in this city's various museums, churches and public piazzas. Be sure to check out my guide to 10 Sculptures You Must See In Rome, Italy for a list of some of the most important works on display in Rome. To the right: The Dying Gaul, one of the important sculptural works you can see in Rome. On display in the Capitolie Museums. Get the most out of your Roman holiday by exploring the resources and information available at these sites. 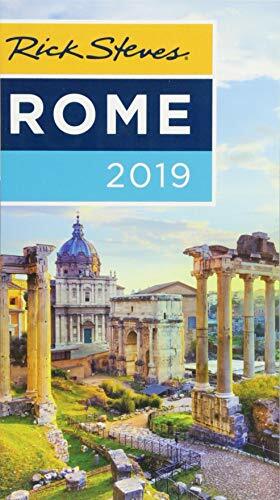 They will help you find the best deals and city tours, as well as information on how to see Rome as the Romans themselves do. This great web hub will get you information on everything you need to know to maximize your visit to Rome. Visitors share their experiences and recommendations on everything from hotels to restaurants to top shops. You can also ask specific questions in the forum for help with your specific itinerary. A concise factural guide to the basics of visiting the city. 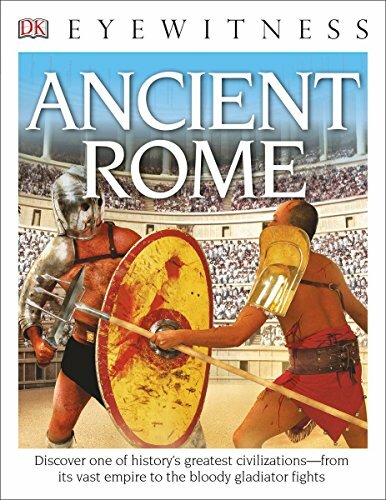 This non-fiction book is an easy read which will give you a flavor and taste of Rome before visiting the city. 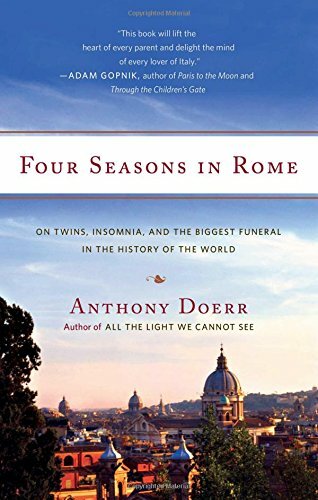 The author spent a year in Rome, experiencing the city through all four seasons and while raising newborn children. 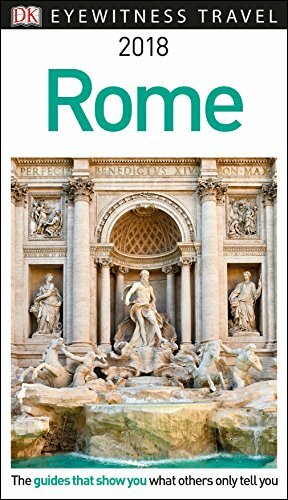 It's also a fun read AFTER you visit Rome, as you will be familiar with the streets, sights, areas and way of life in the city. Everywhere you turn in Rome, you will be confronted by stunning churches, both large and small. Go on and step inside, whether you are religious or not. These churches are worth visiting for their beautiful architecture and artwork, from stunning ceiling frescoes to elaborate marble tombs. Important religious artifacts can be found in many of Rome's churches, and they provide an important perspective on life in Rome, particularly during Renaissance times. Keep in mind, please, that there are certain rules of courtesy and etiquette to follow when visiting historic churches in Italy. Dress modestly and be mindful of those who are there to worship, not just to sight-see. Stunning ceiling frescoes in the Church of the Gesù. Looking for something a little different to check out in Rome? Here are a few attractions a bit off the beaten path or "hidden" amidst the more popular destinations. The Protestant Cemetery in Rome is worth a visit for some quiet, reflective time. Do you need some quiet, peaceful time when exhausted by the tourist crowds in Rome? Spend a reflective afternoon in the tranquil beauty of Rome's Protestant Cemetery, located in Rome's Testaccio district. Beautiful grounds await visitors here, where several notables are buried including poets Percy Bysshe Shelley and John Keats. Visiting the cemetery is also a must for cat lovers as the grounds are the home to the Pyramid Cat Colony. Cats have come to the Cemetery and nearby Cestia Pyramid for shelter since around 1850, and today the colony of nearly 80 cats survives on volunteer care and donations from visitors. An incredible Roman palace...open to the public just one day a week! There are quite a few stunning palaces in Rome you can visit as a tourist, but none are perhaps as stunning as the Palazzo Colonna. It has been owned by the Colonna family for over twenty generations. You can visit it on Saturdays only, in a short window of time open to the public, to marvel in the incredible private art collection, featuring works by such artists as Tintoretto, Bronzino, Reni and Salviati. This is well worth making plans to see to marvel in both the beautiful art and stunning decor and wealth. The Appian Way, or Via Appia, is one of the oldest and most important roadways of Ancient Rome. It is still largely intact and can make for a pleasurable walk or bike tour (especially on Sundays when closed for car travel), with a chance to see old monuments, catacombs, and tombs along the way. It's a great idea for a day's adventure when you want to take a break away from the crowds and noise of Rome proper. Just 15 miles southwest of Rome, you will find Ostia Antica—the ancient port of the city. You can visit it easily via commuter rail or an organized tour. It is a well-known archeological site noted for the excellent state of its preserved building, frescoes and mosaics. There is an onsite museum and you can walk around to explore the ruins which are much less crowded and less popular with tourists than, say, Pompeii, which is a much longer trek from Rome. Although a longer distance (and more easily accessible from Naples), it is possible to plan a day trip to the ruins of either Pompeii or Herculaneum from Rome. You will find organized trips via private shuttle offered by many tourism companies, or you can get there yourself via train. If you are fascinated by Roman history, this ancient city–destroyed and buried for centuries after the 79 AD eruption of Mount Vesuvius–is definitely a must-see destination. Pompeii is just a short trip from Naples, Italy and also easily reachable from Rome or further south along the Amalfi Coast. Rome is magical any time of year, and no matter the weather! With Your Right Hand Over Your Left Shoulder, To Ensure You Will Return To Rome Again! Are You Ready To Explore Rome Now? Great images, and so many. Lago Levico is still very un-commercialised and also still very Austrian/ German down to the food and the language. Very interesting to visit. I did do a Wizzley page about a walk up the mountain to a Austrian fort which is now in Italy. I think you would find it interesting to visit. Autumn in Venice sounds blissful. A saying attributed to one of the popes, who was speaking to people who were staying in Rome for a vacation. "You will see much of Rome in a week; some of Rome in a month; and a little of Rome in six months!" I have been to the Lakes north of Milan but not Lago Levico - that is an area I do hope to explore in the future, from Treviso to Trieste. This autumn we are returning to Venice for the Tintoretto 500 Year celebrations, and I'm still planning on where we may go from there. I think it definitely would be worth an article, yes! Trastevere is a lovely area to explore and filled with so many great restaurants. We often fly in and out through Rome, spending time before moving on to our final destination, and always there is something new we come upon even in a short few days. We went to the far North this summer just gone. The German speaking part which was once Austria way up North near the border. I am delighted you are doing well now, Sockii and pleased to see you back. Rome is a magnificent city, which I love visiting. I have been there four times. My wife us loves to take our evening meal in Trastevere for its atmospheric restaurants, which give you feel of traditional Rome. Do you think Trastavere is worth an article in itself? Thank you, Veronica, doing great and hoping to get back into publishing some more Italy guides and articles in the near future! I am always ready to explore Italy and especially Rome .Thank you Sockii I hope you are well. I read your article and announced to my husband that we haven't been to Rome for 17 years! We've been to other parts of Italy most recently this August. Your article has whetted my appetite for this, the most beautiful city on Earth. This is a great tour and your pictures have reminded me what I am missing. Thank you for another great Italy post. Loved it.